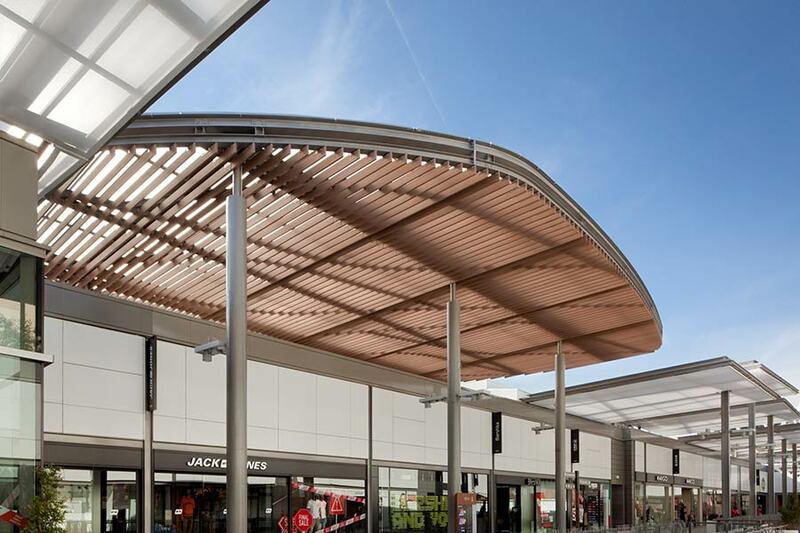 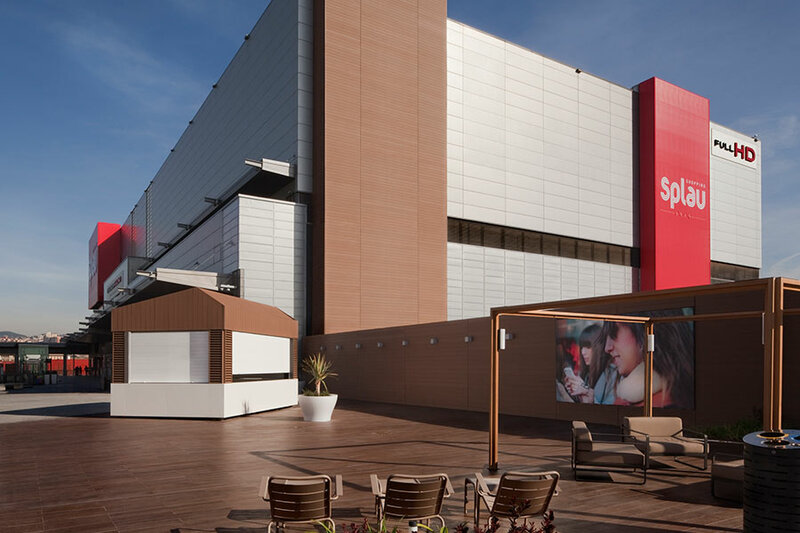 In the remodelling of this shopping centre, the GEOLAM Vertigo board was chosen to cover part of the facades at the centre, adding warmth to the large facade surface of the centre. 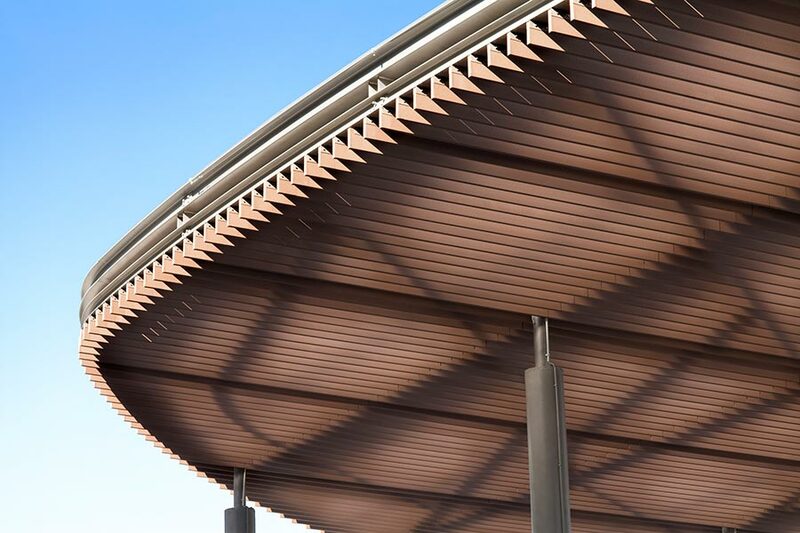 To construct the large pergola, Soleo 6 board was installed. 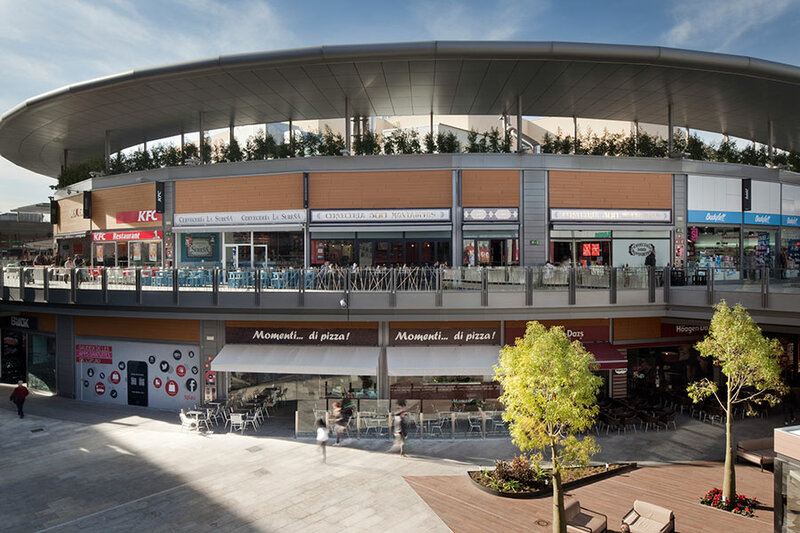 PROJECT TYPE: Shopping Centre. 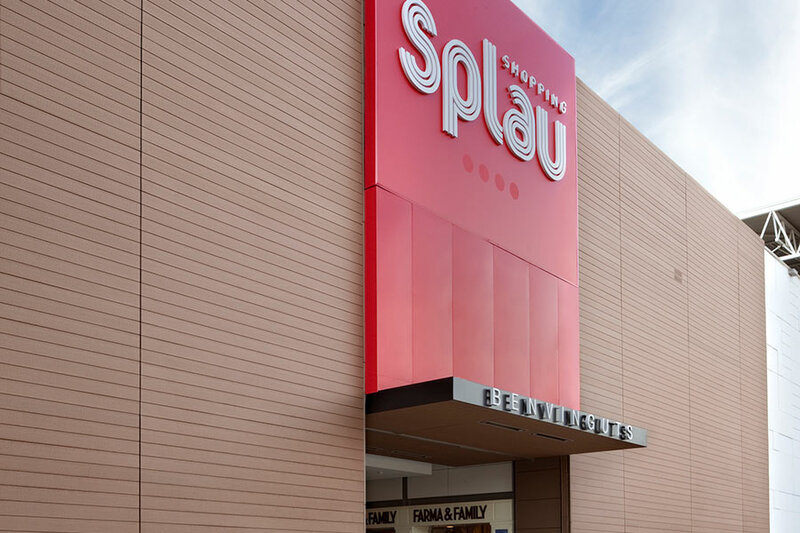 www.splau.com. 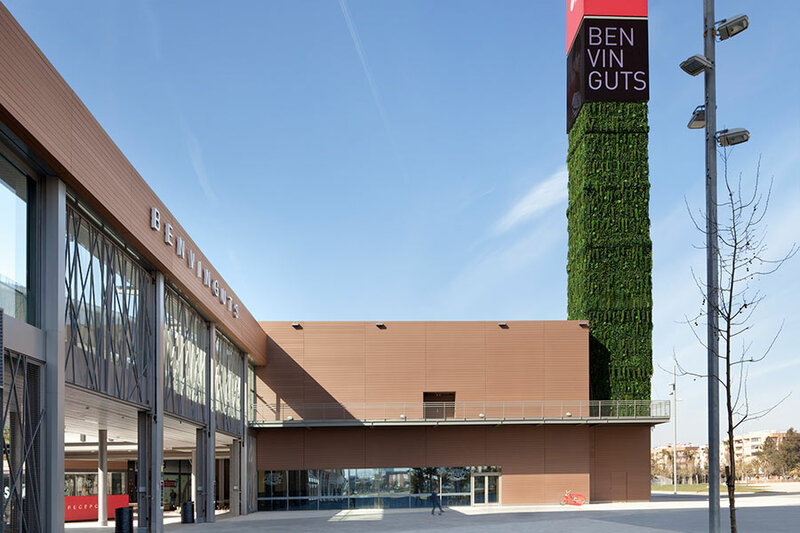 LOCATION: Cornellá de Llobregat (Barcelona). 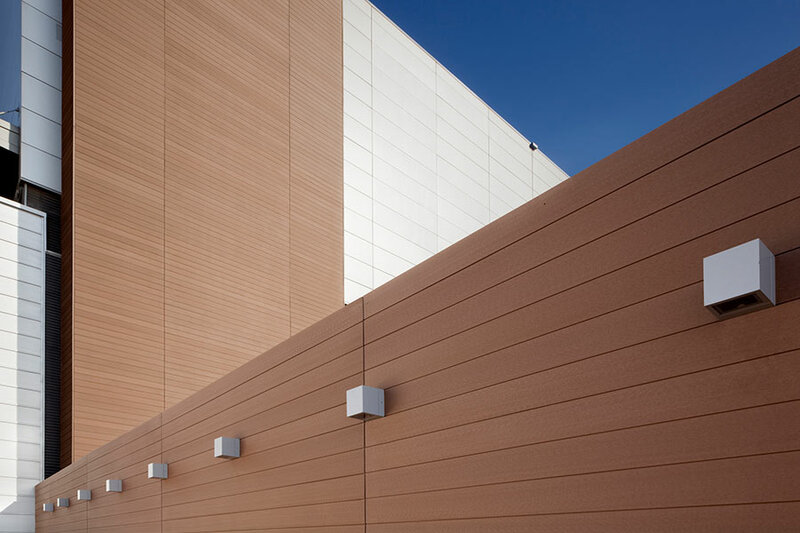 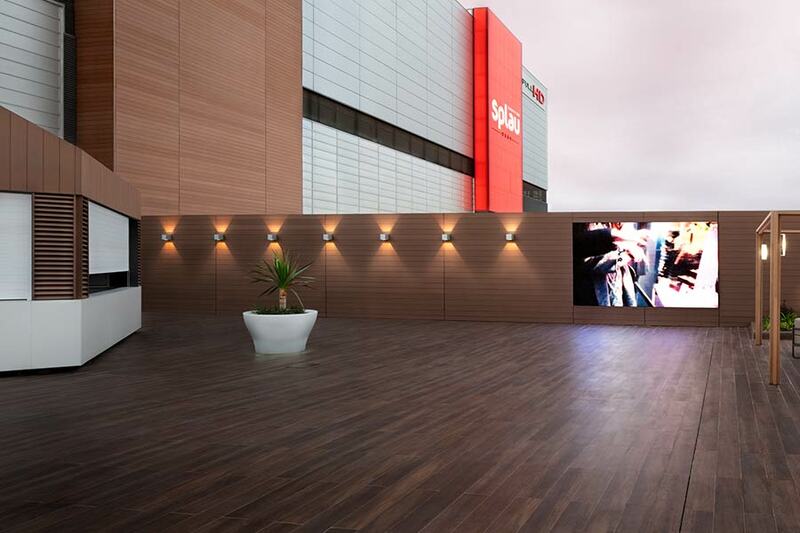 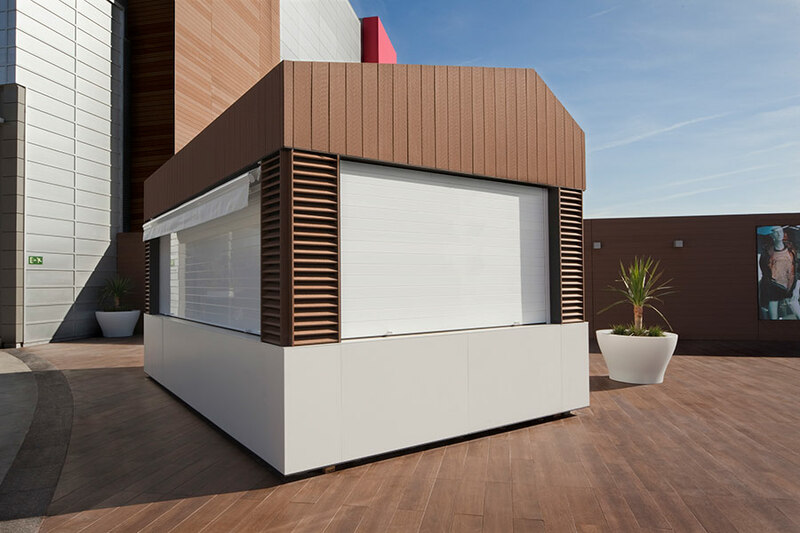 PRODUCT INFORMATION: Facade cladding – GEOLAM exterior boards.